Mary Johnston-Clark calmly received the news that her kidneys were dotted with cysts. She’d seen it coming. The trial examines if calorie restriction and fasting can slow the progression of polycystic kidney disease in overweight and obese patients. Photo: Getty Images. Then 40, Johnston-Clark was at Northwestern University near Chicago for periodic tests she’d completed for nearly two decades as part of the CARDIA trial, a long-term study of coronary artery risk. A torso scan revealed the kidney cysts. The cysts remain, the product of a genetic disease called autosomal dominant polycystic kidney disease (ADPKD). The disease produces fluid-filled sacs that gradually crowd, enlarge and weaken the kidneys and can lead to renal failure. It had been passed on to Johnston-Clark by her father and to him by his father. She knew she had a 50-50 chance of having it herself. “I was like, ‘Damn it, I thought I might have missed that bullet,’” Johnston-Clark said. Mary Johnston-Clark of Lander, Wyoming, hopes her participation in a trial on the UCHealth Anschutz Medical Campus will help her not only lose weight but also manage her hereditary polycystic kidney disease. Photo courtesy Mary Johnston-Clark. It’s not surprising that she hadn’t wasted much energy worrying about it. There is no cure for ADPKD and only one FDA-approved treatment that is reserved for those whose disease is progressing rapidly, said Dr. Kristen Nowak, assistant professor of medicine with the University of Colorado School of Medicine. Johnston-Clark hadn’t experienced any pain or other overt symptoms at the time of her diagnosis – also not unusual, Nowak said. “Patients with ADPKD can be totally asymptomatic,” she said. Many people with the disease don’t have decreased kidney function until they are around age 50, she added. There are signs that may point to ADPKD, including hypertension, flank pain and blood in the urine – a signal of cysts rupturing – Nowak said. “Monitoring blood pressure is especially important, especially if we’re seeing it in kids with a family history of [the disease],” she noted. Now Nowak is also focused on understanding the role that overweight and obesity could play in the progression of PKD. 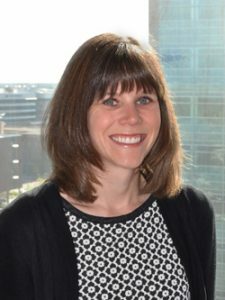 She’s leading a small trial funded by the Colorado Clinical and Translational Sciences Institute and the National Institutes of Health exploring the feasibility of using two dietary programs – daily caloric restriction and intermittent fasting – to potentially slow cyst growth in patients with ADPKD. The caloric restriction group cuts their calories by approximately 34 percent, based on their resting metabolic rate, Nowak said. 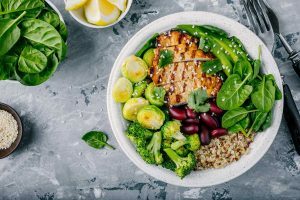 Those in the intermittent fasting group restrict their calories to about 20 percent of their overall needs three days a week; on the other days, they have no restrictions and don’t have to count calories. Both groups receive instruction from registered dietitians with the Anschutz Health and Wellness Center and interact with one another through remote videoconferencing. Participants also keep track of their diet and weight through smartphone apps and wireless scales. They meet once a week for the first 13 weeks of the study, then will meet once a month for the remaining nine months. Dr. Kristen Nowak leads the pilot of a study that examines the feasibility of using weight-loss programs to manage hereditary polycystic kidney disease in overweight and obese individuals. Photo by UCHealth. Nowak is collaborating with Dr. Vicki Catenacci, a UCHealth endocrinologist who is leading a trial that uses a similar approach with otherwise healthy patients who are overweight or obese. Catenacci developed a curriculum that covers topics that include calorie counting, exercise, portion control and the like. It’s only a first step: a proof-of-concept to demonstrate whether or not patients can adhere to the program, Nowak said. But patients will also get MRIs to measure their kidney volumes at baseline and at the conclusion of the study to gauge the rate of cyst growth. “Hopefully we will see a trend to improvement,” the key to taking the study to the next phase, Nowak said. Why investigate weight loss as a possible technique for managing ADPKD? Nowak’s background is in physiology, which sparked an interest in how diet and exercise changes could affect aging in healthy adults. She went on to post-doctoral work in nephrology, developing an interest in how the kidneys interact with the blood vessels of the body. That introduced her for the first time to ADPKD, a condition she thought was ripe for study because it involves genetics – opening the potential population of subjects to both children and adults – and lifestyle factors that might be modified to reduce risks like high blood pressure and cardiovascular disease that are common in all kidney disease. 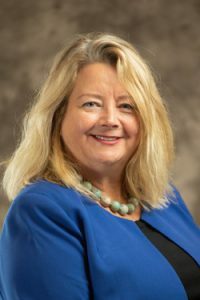 As part of a Career Development Award from the NIH, Nowak led a study that began in 2015 and is expected to run to 2020 that examines the effectiveness of curcumin – a natural substance found in the spice turmeric, a staple of curry powder – in improving the health of blood vessels and putting the brakes on kidney growth in both children and adults with ADPKD. “I wanted to try to tease out the effects of genetic contributors to the disease versus lifestyle,” Nowak said. Nowak also co-authored a February 2018 article published in the Journal of the American Society of Nephrology that reviewed more than 400 patients with ADPKD enrolled in the Halt Progression of Polycystic Kidney Disease Study, which looked at methods of controlling blood pressure. After categorizing the patients’ body mass index and evaluating their kidney growth over a five-year period, Nowak and her colleagues concluded that overweight and obesity were strong predictors of more rapid progression of ADPKD. The impetus for the current trial came after Nowak read of studies conducted on rodents that found that restricting the animals’ calorie intake slowed their ADPKD: they developed fewer cysts and the kidneys grew at a slower rate than subjects without calorie restrictions. The studies found overlap in cell-signaling pathways in overweight and obese rats and pathways that promote the growth of kidney cysts, Nowak said. “I thought that maybe periods of fasting in humans could have a benefit in the progression of the disease,” she said. Johnston-Clark admits that she’s “never really done the diet thing,” thinking that she could take the weight off by herself. But she had a scare in the spring of 2017 after a urinary tract infection spread to one of the cysts in her kidneys. Providers at the hospital in Lander, Wyoming, where she lives with her husband, couldn’t get the infection under control and Johnston-Clark began getting septic, prompting calls to air-lift her to a critical-care facility. She woozily told them to first call her nephrologist at UCHealth University of Colorado Hospital, Dr. Michel Chonchol, who calmly advised administering ciprofloxacin, an antibiotic proven effective in knocking out renal cyst infections. Johnston-Clark recovered and left the hospital 10 pounds lighter and with her blood pressure lower. The experience sent a powerful message. Johnston-Clark enrolled in a multisite study Chonchol leads at CU of the lung cancer drug tesevatinib, which has shown promise in controlling kidney growth in patients with ADPKD. He also “quietly and firmly” suggested that she try to get her weight under control to reduce the strain on her kidneys. She enrolled in Nowak’s study two months ago, joining the caloric restriction group. Her resting metabolic rate established her calorie limit. She makes her own food choices based on that number and recommendations made during the weekly videoconference meetings led by registered dietitian Marsha Miller at the Anschutz Health and Wellness Center that cover topics in Catenacci’s curriculum. She uses the MyFitnessPal app on her phone to track what she eats and balance her meals – splurging a bit for one meal is okay as long as she makes up for it the other times she eats. Nowak’s goal, of course, is to figure out if people with ADPKD will adhere to this type of program. Johnston-Clark offers encouraging words on that score. “It seems like a feasible approach,” she said. “Adding awareness of what I eat makes me feel more in control, not less.” Since starting the study, she’s dropped from 265 pounds to just under 259, and her resting heart rate has decreased. Her creatinine levels, a key measure of kidney function, have continued a decline that she said began about a year ago. If Nowak’s hypothesis plays out, helping patients with ADPKD manage their weight and blood pressure could have a profound effect on their lives and help to manage soaring health care costs. The potential benefits are even greater if providers diagnose ADPKD early and encourage healthy lifestyle changes in kids, Nowak concluded. For more information on the study, contact Dr. Kristen Nowak at kristen.nowak@ucdenver.edu or Beverly Farmer at Beverly.farmer@ucdenver.edu (303-724-7790).